« Nov. 5, 2011: One brewery, one great taste. What we have here is the resume of a man who will never work again. Fall 1970. Click for larger version. That being said, my grandfather had succeeded in getting a new job in the spring of 1970, when he was just shy of 60. So maybe things were different then. — “Health very good.” This from a guy eight months away from having a heart attack. I wonder what he thought when he went back and looked at this resume afterward, as he presumably did. — “Protestant religion.” I may be way off the ball here, but I interpret this as possibly a pre-emptive strike against anti-Semitism. I have met any number of people over the years who have incorrectly assumed, based on various cues, that the Blumenau family must be of Jewish descent. It’s not an issue or concern for me, but it might have been during my grandfather’s working life, when attitudes and practices toward hiring might have been less enlightened. This strikes me as the kind of info you would put on a resume only because you felt you had a reason to do so. If anyone can offer another possible reason, I’d be interested to hear it. So why was my grandfather working on his resume, anyway? 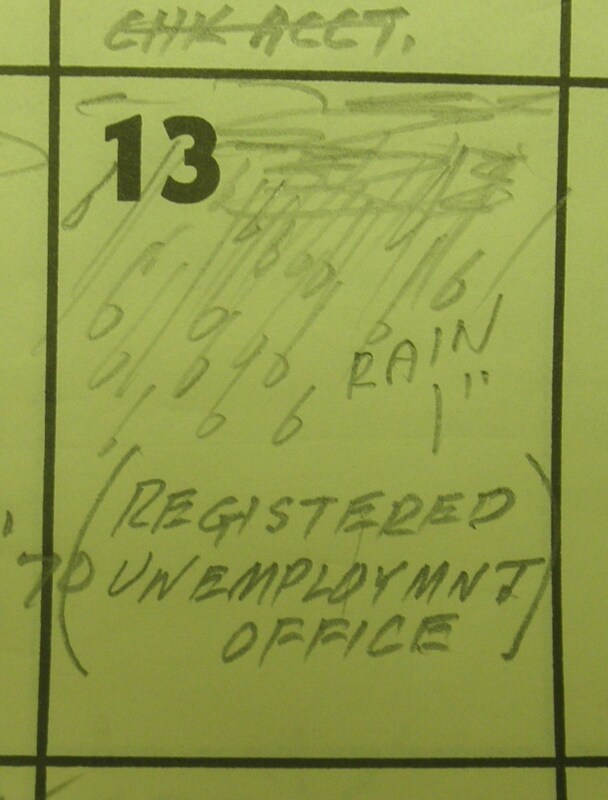 In the midst of a brisk November rain (which presumably made it hard to hold a candle), my grandfather was trying to find work. He was not alone. The seasonally adjusted unemployment rate that month was 5.9 percent, a full point worse than where it had been in June of that year and two points worse than January. After more than 38 years in the workplace — the majority of it with Time-Life — he had been let go by his most recent employer in September. Presumably he wasn’t ready to think of himself as retired yet. Maybe he liked the daily regimen of work. Or, with a kid in college, maybe he didn’t think he was in a financial position to retire. But, whatever the reason, he was still holding out some degree of hope to take up his draftsman’s tools again. His heart attack in May 1971 would change that. I’m not sure he was still looking for work by then; but if he was, that’s when he stopped. By the time I was born, my grandfather had been retired for more than two years, and scenes like this were part of the past. 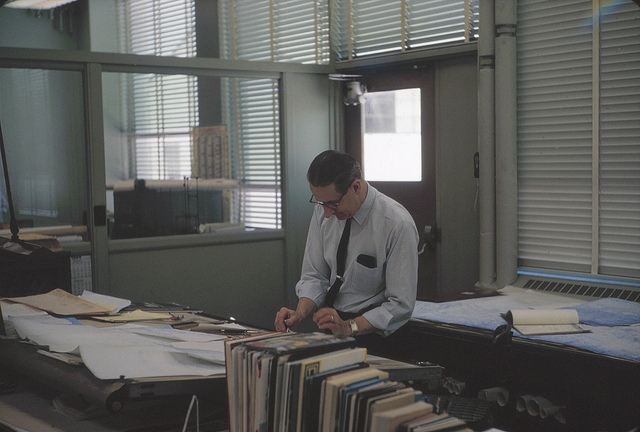 My grandfather at work, Time-Life, 1964. Incidentally, for those of you who are thinking, “He has his grandfather’s resume? Does this family throw nothing out?”: I found a manila folder with the resume packed in a box of historical newspapers I inherited. Not sure how it got in there but I’m glad it did. It’s a real flashback. 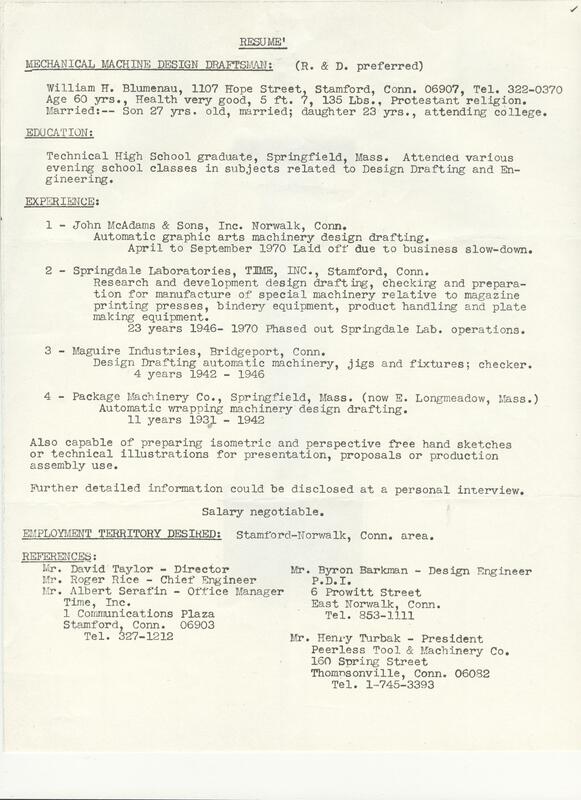 They don’t write resumes that way any more. I figured I’d just get a lot of spam make-$800-a-day-from-home offers, though, so I decided not to do that. William H. Blumenau already paid his dues on the job-search market. We’ll let him stay comfortably retired. Awesome that you still have that resume. Interesting article & photo, too.